Meet Sheriff Michael Chitwood, a Yankee cop in good-ol’-boy territory. Tap the collages to explore them. This story was produced in collaboration with PBS NEWSHOUR. 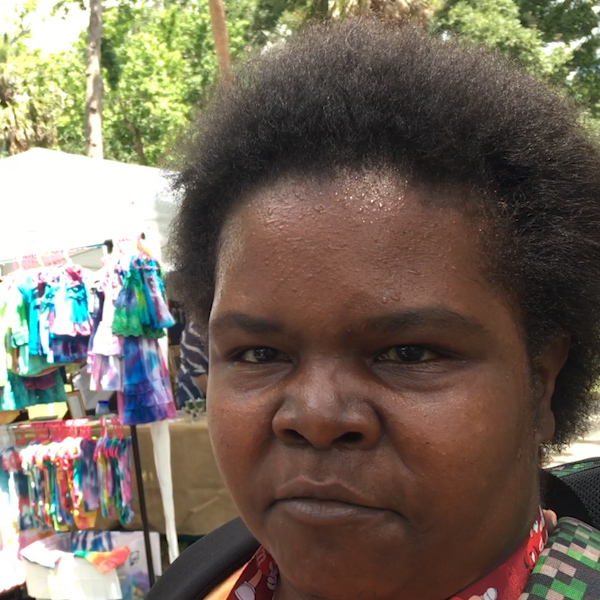 Volusia County, Florida — This was one of the last places in the South to end segregation, a land today of gun enthusiasts and NASCAR, where Jews are still cautioned not to draw attention by hanging mezuzahs on their doors, and local history books say little, or nothing, about African-American life here. The most notable change in the county’s demographics in the generations since Jim Crow is that black sharecroppers who used to tend white-owned farms have been replaced by thousands of undocumented Mexican farmhands. 1 Cattle ranchers live in the rural northwestern pocket of the county and say the sheriff's office has been responsive to their concerns that include runaway cows and trespassers. 2 A Fruit stand on the side of the road in Pierson. 3 2nd Amendment Gun Sales is a weapon shop near the sheriff’s headquarters. Florida residents only need a permit to carry handguns, not rifles or shotguns. Permits aren’t required to purchase firearms. 1 An Abandoned farmhouse in Pierson, a rural town in Volusia County, Florida. 2 Photo of black prisoners during the early 20th century, courtesy of the Halifax Historical Society Museum in Daytona Beach. 3 Abandoned water tower in Pierson. 1 Abandoned water tower in Pierson. 3 An Abandoned farmhouse in Pierson, a rural town in Volusia County, Florida. 1 Volusia County courthouse in DeLand. 2 A 1972 newspaper clipping from the Daytona Beach Morning Journal reporting that a grand jury would investigate the fatal shooting of an unarmed black man by Deputy Ben Johnson. 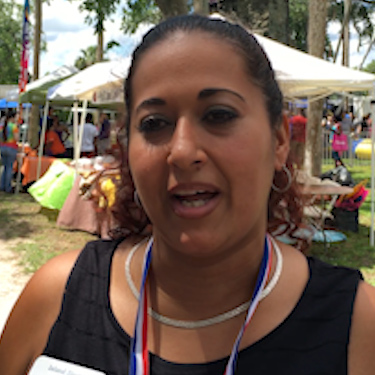 1 Pastor Eloisa Ortiz shares her Sunday sermon at Iglesia Misionera. 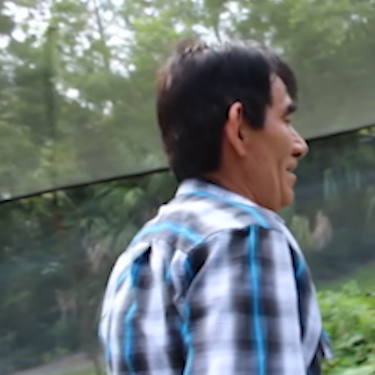 The church advocates for undocumented Mexican worshipers. 2 Deputy Ben Johnson’s written police statement, submitted after he fatally shot an unarmed black man who had fled from police custody in 1972. 3 An old “no trespassing” sign still stands from the Sheriff Ben Johnson era at an abandoned farm in Pierson. 1 Pastor Eloisa Ortiz shares her Sunday sermon at Iglesia Misionera in Pierson. The church advocates for undocumented Mexican worshipers. 2 An old “no trespassing” sign still stands from the Sheriff Ben Johnson era at an abandoned farm in Pierson. 3 A 1972 newspaper clipping from the Daytona Beach Morning Journal reporting that a grand jury would investigate the fatal shooting of an unarmed black man by Deputy Ben Johnson. 1 A Spanish-language flyer from the Farmworker Association of Florida promoting membership to a local community garden. For a $20 annual donation, members can have access to land, seeds and gardening tools. 2 Homemade crunchy tacos from a farmworker’s house in Pierson. 3 A 1984 Daytona Beach News-Journal article that details the growing population of undocumented Mexican immigrants who’ve moved to the area, and find work on the fern farms. 1 Parking lot sign for a Spanish-speaking church in Pierson that attracts undocumented Mexican immigrants and their children. 2 A clothing donation bin in front of the Farmworker Association of Florida office. The organization assists undocumented immigrants with legal representation, healthcare and other social services. 1 Photograph of a segregated children’s parade marching through the blacks-only section of the Daytona Beach area during the mid-20th century, provided by the Halifax Historical Society Museum. 2 A page from the Polk’s Daytona Beach City Directory, where black residents were noted by a “(c)” denoting they were “colored.” The classification was used at least until the 1950s. 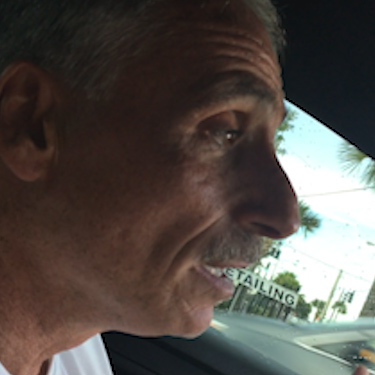 3 Daytona Beach resident Deidre Moore talks to Sheriff Mike Chitwood in front of her home after her 10-year-old son was caught stealing Chitwood’s bicycle. 1 Photograph of local black prisoners during the early 20th century, provided by the Halifax Historical Society Museum. 2 News photograph of a 1960 lunch counter protest at a five-and-dime store in DeLand where black students gathered to decry Jim Crow-era segregation. 3 Young children surrounded Sheriff Mike Chitwood’s patrol car in DeLand Boys Club. 1 Daytona Beach resident Deidre Moore talks to Sheriff Mike Chitwood in front of her home after her 10-year-old son was caught stealing Chitwood’s bicycle. Volusia is Trump country. It gave the Republican victor 54% of its vote in 2016. So how, in this time of acrimonious national division, did Volusia County elect as its sheriff a man like Michael J. Chitwood, a product of South Philadelphia, a self-styled progressive reformer, a vocal defender of undocumented immigrants? How did Chitwood gain endorsements from both the National Rifle Association and the National Association for the Advancement of Colored People, and decisively defeat both the favorite of the good-ol’-boy network and the darling of the deputies union? And with such a mandate, how is he holding up a year into the Trump administration? Chitwood, 54, is the son of a police chief in a Philadelphia suburb, and rose to lieutenant in the Philadelphia Police Department. 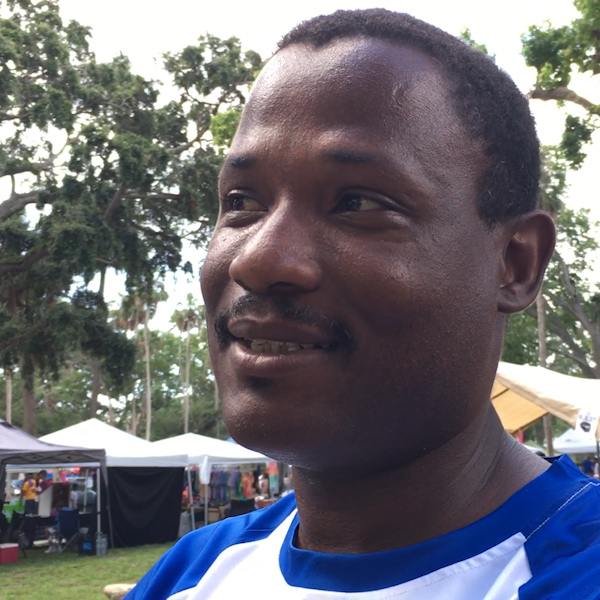 He moved south eleven years-ago to accept an appointment as chief of police in this county’s urban core, Daytona Beach. He says he ran for the sheriff’s job because an elected post would be less beholden to civilian bureaucrats. There has been speculation that this is a debut for higher office. Chitwood is a registered independent, and while his demeanor is Trumpian, his views on criminal justice are anything but. Over beers, Chitwood tends to go off on social justice soliloquies that emphasize the woeful legacy of segregation or the dire need for federal immigration reform. 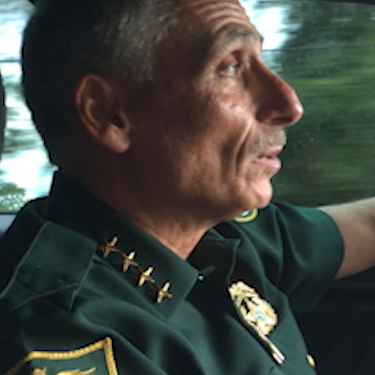 Since January 2017 he has worked from the reformist playbook, adopting measures he had practiced in Daytona Beach — deploying the data-driven policing strategy known as Compstat, instructing officers to never turn off their body cameras when responding to a call, mandating classes on de-escalating conflict and police bias, and deemphasizing the weapons proficiency of new recruits: “Why is it so important that the first thing we do is assess your shooting skills?” he asks. To the department’s old guard, this is seen as an attempt to transplant Eastern elite notions in alien soil. “If you can’t shoot a gun, and you don’t have the ability to learn how to shoot a gun, you aren’t going to be any good to us,” retorted Evan Ort, a former army marksman who was the department’s gun instructor until June when he quit in protest. Ort was infuriated when Chitwood brought in the consultants from the Police Executive Research Forum to critique the department’s culture. 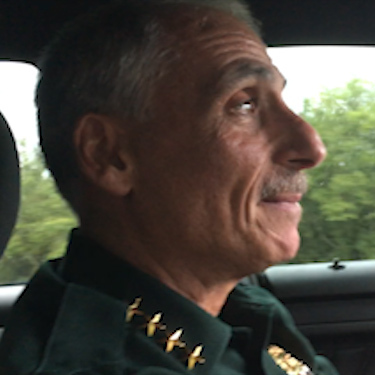 He warned that the new emphasis on de-escalation was likely to get a deputy killed, and he mocked the sheriff’s New Agey talk of “wellness” and “mindfulness” as irrelevant to a department that he said is understaffed and overworked. Chitwood’s most formidable obstacle is resistance within his cadre of 415 officers. 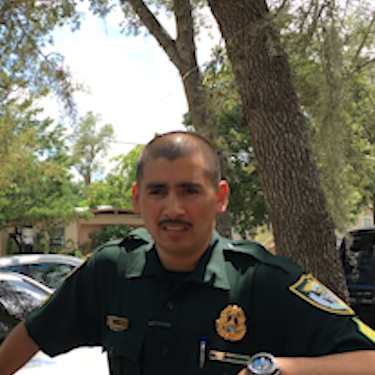 He scored a few points with his troops after being part of a successful months-long contract negotiation with the union, formalized on December 21, which bumps deputies’ starting salary to about $19 per hour. The pay increases don’t lessen the rank-and-file disdain for their new boss. Overtime shifts are mandatory, deputies complain of more aggressive discipline (though that is not reflected in department records) and deputies are quitting or retiring at a pace that accelerated when Chitwood took over. “I am a huge believer in redemption." “Things have changed. That’s what this election was about." “A scumbag is somebody who is out committing violent crimes in our community." “The fear is that ‘I am going to be deported if I call the police’." One deputy was fired in September because he insulted Chitwood’s leadership style in a Facebook post. (Law enforcement officers, Chitwood noted, don’t have the same First Amendment rights as civilians.) Deputies have passed around a clip from a German movie of Hitler berating his generals, with subtitles taken from Chitwood’s rants. “It’s been a rough first year for the deputies,” says Sgt. Brodie Hughes, president of the Volusia County Deputies Association. Detractors see Chitwood as calculating, noting that he told the NRA in a pre-endorsement questionnaire that he would consider supporting a law to let Floridians carry weapons openly, a position the Florida Sheriffs Association and most progressives oppose. The gun lobby awarded him an “A” grade. Chitwood said he just registered a willingness to discuss the issue. Pressed about how he expects to create lasting reforms in such a toxic environment, Chitwood cast his critics as the vestiges of a time that is past, or soon will be. The old way of doing things was embodied by Chitwood’s predecessor, Ben Johnson, who retired in December 2016 after 16 years as sheriff. In 1972, as a young deputy, Johnson fatally shot an unarmed black man as he fled from police custody. A grand jury cleared Johnson, but the episode contributed to a mistrust among African-Americans that lingered throughout his tenure as sheriff. On his watch, the county spent at least $671,500 settling deputies’ use-of-force and false arrest cases, according to legal records. From 2011 to 2013, Johnson’s agency was investigated by the U.S Justice Department after a Latino resident complained that deputies responding to a domestic violence call detained the wrong person because they couldn’t understand Spanish. Volusia County is 12% Latino, not including the estimated 10,000 to 20,000 undocumented residents who’ve migrated mainly from Mexico. Federal officials faulted the sheriff’s office for having no in-house translators and for offering English-only forms and pamphlets to the public. The way Chitwood sees it, Johnson alienated black and Latino neighborhoods, and the new sheriff now has to repair the damage. Chitwood attends Sunday service at Mexican churches, visits taco stands to eat alongside undocumented farm workers and frequently accuses his predecessor of being indifferent to their concerns. Sitting next to his wife one afternoon at a restaurant, Johnson parried a barrage of personal attacks from his successor, and finally broke down in tears. “All I want to see is success for him, but don’t hurt people to get it,” he said, wiping his eyes. “He doesn’t have to come in there and destroy what’s been done.” Johnson has returned to politics, and plans to run for a county council seat in 2018. Where Chitwood departs most conspicuously from the president’s rhetoric is on the subject of immigration. Volusia County prides itself as being the “Fern Capital of the World,” where thousands of acres of farmland produce the leafy green stalks that fill floral bouquets across the nation. 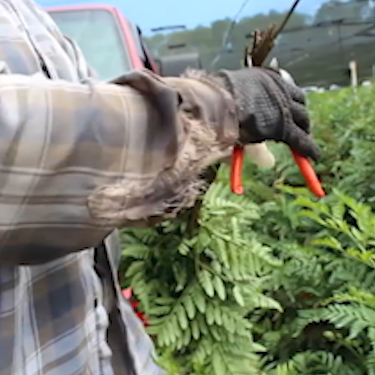 On average, fern workers earn about $9 an hour for a job where snake bites and mangled fingers are common. Undocumented Mexicans do most of the work. Out of self-interest, Volusia has become in recent years a virtual sanctuary for migrants without papers. From 2010 to 2014 the county’s corrections department turned over 197 people to U.S. Immigration Customs and Enforcement, but in 2015 the cooperation tapered off sharply based on advice of Sheriff Johnson’s legal counsel. Chitwood inherited the policy, and at least verbally, has embraced it with enthusiasm. "Can you see an American cutting this right now?" "They have a good record." "If you don’t have a license, then you can’t drive." "We are not here trying to deport people." 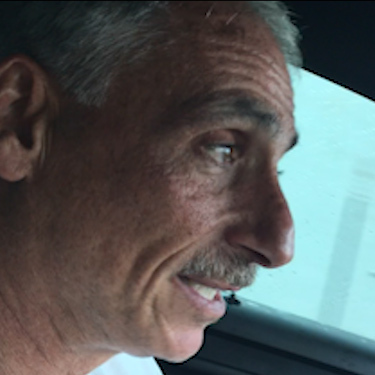 Chitwood said he had also instructed his deputies to stop what he said was the common practice of pulling over Hispanic-looking drivers and citing them for lacking licenses. It is impossible to tell whether this kind of racial profiling has changed because many deputies — ignoring the department’s written policy —fail to record the ethnicity of drivers they stop. Chitwood is a one-man display of what the reform jargon calls “community policing.” He clocks 25-to-35 miles each day riding alone on his bike, and likes to zoom around the predominantly black neighborhoods of Daytona Beach where his celebrity is most pronounced. Children scream out “Chitwood, Chitwood” as he pedals by. When he roams the streets on foot, adults stop him every few feet and ask to pose for selfies. 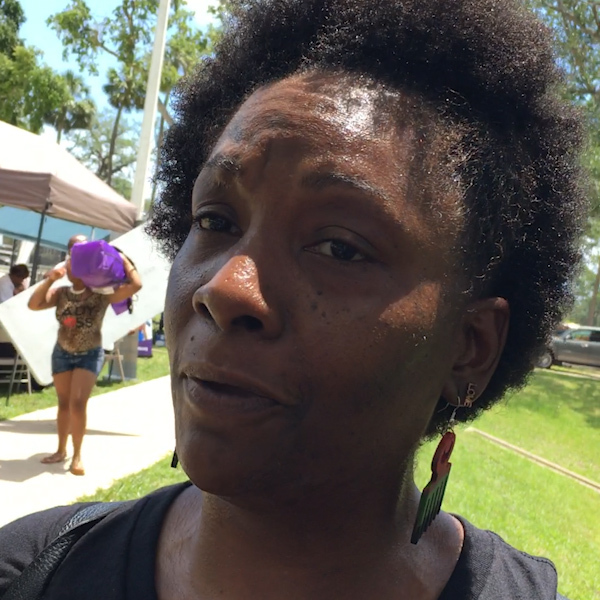 The recent barrage of national news footage featuring white cops shooting unarmed African-Americans hasn’t diminished Chitwood’s connection to black Floridians. Here on the Westside of Daytona Beach, Chitwood seems to be beloved. What do you think about Sheriff Chitwood? "Other police chiefs really never wanted to get out like he does." "If you want to police people, then you need to know the people that you are policing." "A lot of people just don’t like cops." "He does so much for the community." There was also a Saturday evening in Daytona Beach, when Chitwood tracked down the mother of a 10-year-old boy who had helped steal his $3,500 Cervelo bike. The boy had served as a lookout as his 15-year-old friend cut the bicycle off of Chitwood’s unmarked patrol car while the sheriff was attending a nearby Juneteenth party in a city park. The theft was captured on surveillance video. Chitwood, initially, didn’t want to press charges against the 10-year-old, but the boy’s mother, Deidre Moore, thought otherwise. “As a black parent, you really don’t want to put your child in the system,” she explained. “But I need help.” Her son had already been arrested for stealing a car. She asked Chitwood to get her son into an electronic monitoring program where he would wear an ankle bracelet and work closely with social workers. Chitwood honored the request, but five weeks later the boy was in juvenile custody and made national headlines after stealing several more cars. “If you stop believing in people, and stop giving people breaks and try to do better for them, you might as well quit,” Chitwood said.